Growing up in New Orleans 1950-1960’s was a wonderful time for the formative years of children. As a student and participant in the lifestyle and close family ties in this city it has always, even till today, given so much to its inhabitants in culture, spirituality, and life’s lessons. 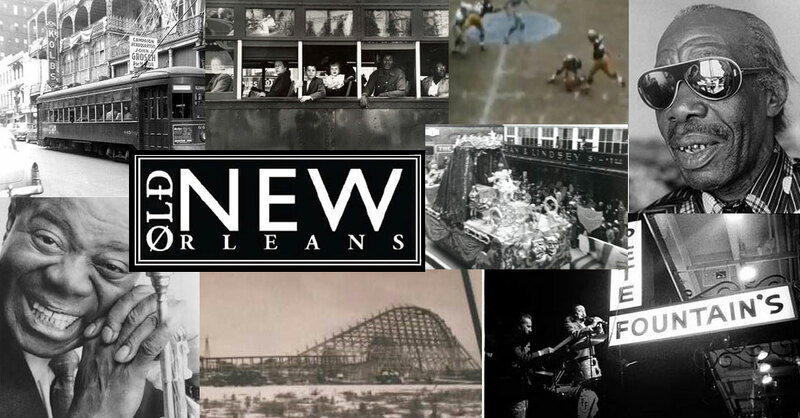 There was so much to do as a child and adolescent with its nationally known parks, neighborhoods, stadiums, universities and its historic French Quarter. There was also a great temptation to be drawn to the more alluring side of life in the city and to experience its music, art, and festivals. There were such iconic jazz musicians as Louis Armstrong, Pete Fountain, and Al Hirt, and rhythm and blues singer Fats Domino. These four musicians were the best in their field and known nationally however, there were also many more lesser know local musicians who gave us our own musical culture with their interpretation of R&B. Some of these individuals performed at many high school and college dances and parties to our joy . Their names were and are Irma Thomas, Benny Spellman, Oliver “la-la” Morgan, Ernie K-Doe, and Deacon John and the Ivories, to name a few. Our music was unique and when the Beatles arrived on our shores they came to perform in New Orleans (1964) at a local high school stadium in city park and were determined to (and succeeded) in personally meeting with their musical idols -our own Fats Domino and Professor Longhair. .
Mardi Gras was also a huge part of our lives because of its parades, the festive atmosphere, and the wild costumes the participants relished wearing. The entire city got involved from the early part of the new year or January 6, (the twelfth night) until Mardi Gras day-the day before ash Wednesday. In early march came St. Patric’s day with its weekend of parades and green beer, then came Easter and the spring festival with the huge Easter hats the ladies wore in the annual parade thru the French Quarter. Then came the New Orleans Jazz and Heritage festival which was just beginning to grow in popularity and is now a national event drawing such well known artist, in addition to local jazz musicians, as Simon and Garfunkel, Van Morrison and James Taylor ,to name a few. When local residents travel to other parts of the country, if asked where they are from the retort from the questioners is usually “you speak like you are from Brooklyn, New York not New Orleans. Our accents are confusing to many because they expect us to sound southern but nothing could be further from the truth. There have been many movie actors who attempt our accent but do a poor job and are derided by the locals for their poor renditions which are usually more southern than New Orleanian. Actually our dialect is more Hoboken, New Jersey because our city has a world renounced Mississippi river port and our ancestors immigrated from Italy, France, the Caribbean and parts beyond giving New Orleans residents a language all its own. As a well known biographer once said,” New Orleans has its own ‘mature culture’ with its own language, food, architecture, and music and is the most culturally diverse city in the United States“. What a great place to have grown up.